There are such a large range of flooring products on the market to choose from that it can make home improvements quite tricky. Whether you are looking for something completely waterproof for your family bathroom, or a luxurious 100% wool carpet for your bedroom, we are here to ensure that you make the right decision for your home. At Kitchens & Bathrooms we can offer you a wide range of flooring, including Vinyl and Carpet. Our Vinyl flooring is functional and low-maintenance, meaning that it is suitable for use in any room throughout a busy home. It is available in both modest and striking designs and also in a wide range of styles, including wood, stone and mosaic effect. If you’re not looking for Vinyl flooring we also offer carpets, which are not only stylish, but also bring comfort and innovation to suit every lifestyle, taste and budget. We supply highly reputable flooring manufacturers including Karndean, Quick Step, Victoria Carpets, Polyflor and more. 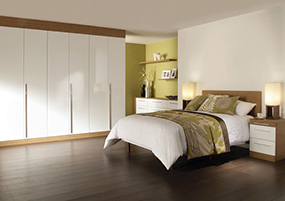 Find out more about the brands we stock by visiting us at our Sittingbourne showroom. We believe a trip to see our flooring in action can really help you visualise your home improvement designs. At Kitchens & Bathrooms we also offer underfloor heating systems which provide a fantastic alternative to bulky radiators, offering you a sleek, spacious feel to your home. Our innovative underfloor heating systems work by slowly releasing hot air and evenly distributing it throughout the space underneath your flooring, resulting in a comfortable temperature, which is consistent. Our extensive range of underfloor heating systems are suitable for a wide variety of flooring types, including wood, stone and even carpets. The systems we install are both versatile and reliable, so you can trust that our heating systems will perform well and last. Our experienced team of staff at Kitchens And Bathrooms will listen to your ideas and discuss potential options for you to suit you and your home. We'd love to hear from you and we're always more than happy to help. Why not pop into our Sittingbourne showroom? You can also call us on 01795 438020 for an informal chat and some friendly advice. Alternatively you can contact us via our form for an affordable quotation, with no obligation.